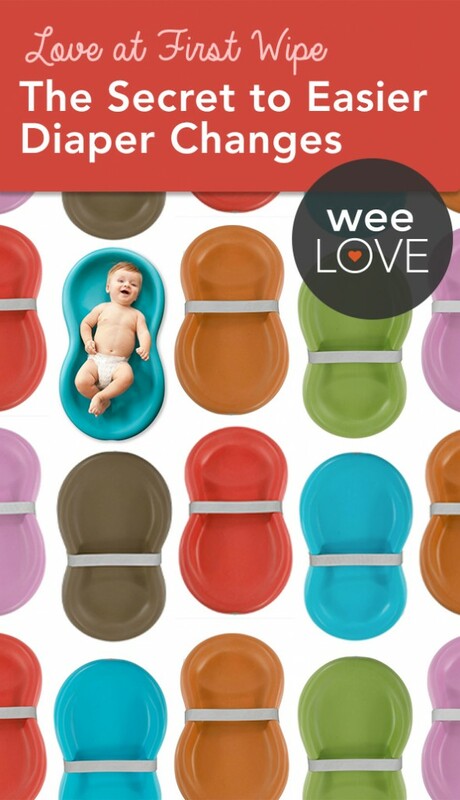 Rather than washing changing pad covers around the clock, Keekaroo has a much simpler, hygienic solution. Their Peanut Diaper Changer requires no cover or pad. Its durable outer shell is water resistant, limits bacterial growth, and doesn’t skid. Originally designed for hospital use, the soft, solid surface can withstand any diaper explosion. So you can wipe it clean in seconds and be fully prepared for round two… and three… and one zillion with the best diaper changer. We can’t promise you’ll stay out of the fray (or spray) … but this can help make one part of parenting a little less messy. Word of warning to mothers: Do NOT buy the Keekaroo in “Sable” from Giggle.com – It WILL come with discolored black marks or “swirls” allover it that look like dirt or a production error. I am told by customer service that this is “normal” and part of Keekaroo’s “new production process”, and “All sable changers will look like yours from now on, an exchange for another sable will only get you one in the same condition as the one you presently have.” They will not refund you shipping costs or ship a new one in exchange as the “the onus is on the customer to be informed.” I wish someone had told me beforehand! Great product, but I recommend getting it in another color and from a website that allows for free shipping in case your product ends up being as discolored as mine was.